Wolfmet tungsten heavy alloy is ideal for producing balance weights and ballast for use on an aircraft. This is due to its extremely high density, which allows for the smallest possible weights to be used. This attribute can be particularly valuable in situations where a mass has to be contained within a confined space, and can ultimately reduce the overall amount of weight used as it can be positioned more favourably. With more than 40 years’ experience manufacturing tungsten from non-conflict sources, Wolfmet tungsten alloy components are machined to very tight tolerances in line with exacting customer specifications. The Wolfmet tungsten alloy production unit of M&I Materials is accredited to the aerospace standard, AS9100. Wolfmet tungsten alloy can also be manufactured to AMS 7725E or ASTM B777-15 on request. In addition, short lead times allow flexibility of production, something which is of particular value when creating ballast for flight tests. Wolfmet’s UK manufacturing location ensures quality and security of supply while its practice of adopting systems most relevant and beneficial to each customer allows for full integration into their supply chains. 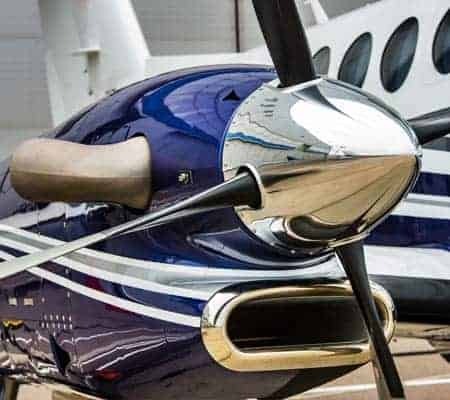 The balancing of control surfaces such as ailerons, rudders and stabilisers, and the reduction of vibration in propellers and rotor blades are critical to flight performance, safety and long reliable service. Compact Wolfmet tungsten heavy alloy weights give designers the maximum surface area available for control, while preventing flutter and dynamic instability. When balancing individual parts like flight controls, using smaller tungsten heavy alloy components can result in a reduction of the overall weight of an aircraft. Without correct balancing, the operation of rotor blades and propellers can cause excessive vibration through other parts, degrading flying qualities and possibly reducing component lifetime. Every element of an aircraft benefits from low levels of vibration, so it’s vital to ensure a rotor or propeller is correctly balanced, both statically and dynamically, to improve safety, comfort and reliability. Wolfmet tungsten alloy balance weights can be manufactured to a wide range of customer requirements that meet the latest industry standards. Even with the best design and manufacturing techniques there will occasionally be the need to make small, final adjustments to the balancing of components. Using Wolfmet tungsten heavy alloy to make trim weights allows them to be placed in the smallest spaces, giving ultimate flexibility on the assembly line. Wolfmet tungsten alloy is ideally suited to aircraft ballast applications where the precise placement of extra weight is required. 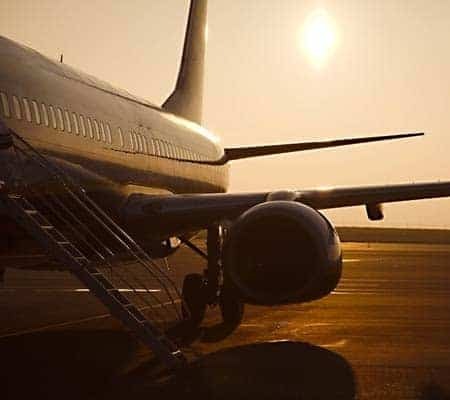 As ballast can be a removable or permanently installed weight, it can be used to simulate aircraft loading or to bring the centre of gravity into the allowable range. The loading, or weight and balance, of an aircraft is one of the most important items in the flight test as it affects both performance and stability. Using Wolfmet tungsten alloy as ballast during flight tests allows different payloads to be simulated and small compact weights to be positioned in precise locations. The centre of gravity of an aircraft must sit within an acceptable range to ensure it can maintain level flight, and is even more critical for helicopters than for fixed-wing aircraft, as improper balance of a helicopter’s load can result in serious control problems. 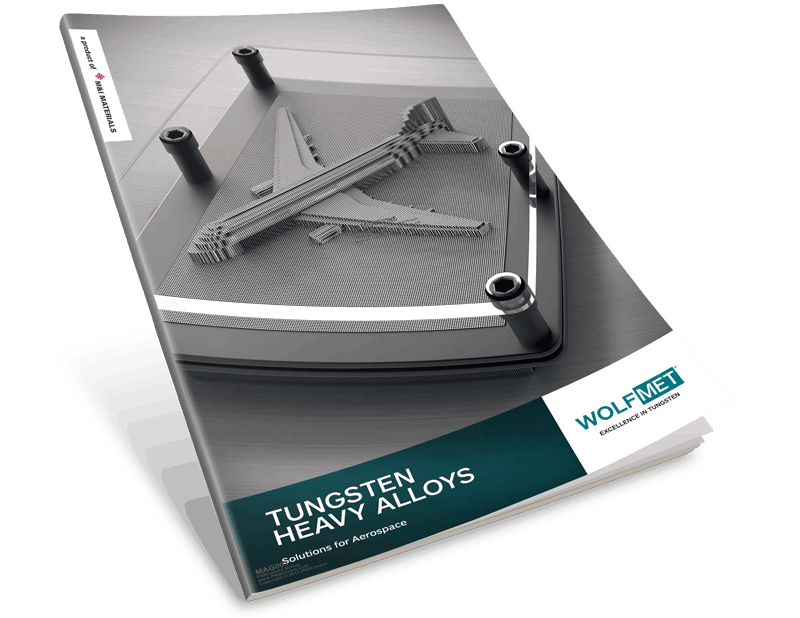 Using Wolfmet tungsten alloy as ballast allows smaller, lighter weight components to be placed in areas where space is restricted, such as the nose or the tail. This brings the centre of gravity within limits at the same time as reducing the overall weight of the aircraft. Balancing flight control surfaces using smaller Wolfmet tungsten alloy components can ultimately result in a reduction of the overall weight of an aircraft. As tungsten has a high density the moment is far greater than it would be if using other materials, so less space and weight is required. To find out more, watch our video to the right.